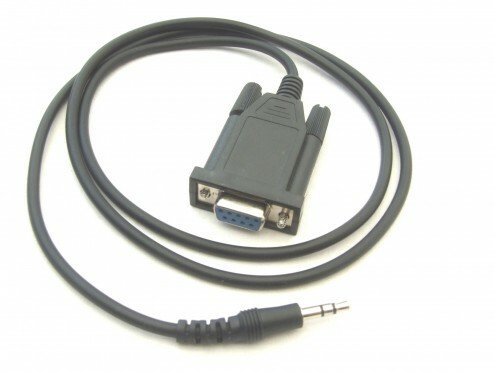 This programming cable offers a quick and easy solution to the programming of Icom hand portable radio’s listed below. IC-208E, IC-208H, IC-2100, IC-2720H, IC-2725E, IC-2800, IC-3FGX, IC-40S, IC-A110, IC-A23, IC-A24, IC-A24E, IC-A3, IC-A4, IC-A5, IC-A6, IC-A6E, IC-E208, IC-E7, IC-E90, IC-F10, IC-F1020, IC-F11, IC-F11S, IC-F12N, IC-F12SN, IC-F15, IC-F15S, IC-F1610N, IC-F20, IC-F21, IC-F21S, IC-F22, IC-F22S, IC-F22SR, IC-F25, IC-F25S, IC-F25SR, IC-F3, IC-F3GS, IC-F3GSN, IC-F3GT, IC-F3GTN, IC-F3S, IC-F3022TN, IC-F34GT, IC-F34GS, IC-F4, IC-F4GS, IC-F4GSN, IC-F4GSW, IC-F4GT, IC-F4GTN, IC-F4GTW, IC-F4S, IC-F4TR, IC-F4022T, IC-F4029SDR, IC-F43G, IC-F44GT, IC-F44GS, IC-F7000, IC-FR3100, IC-FR4100, IC-GM1600E, IC-M21, IC-M31, IC-M33, IC-M421, IC-M503, IC-M503E, IC-M505, IC-M601, IC-M603, IC-M71, IC-M90E, IC-P7A, IC-R10, IC-R2, IC-R20, IC-R3, IC-R5, IC-T2A, IC-T2H, IC-T3H, IC-T7A, IC-T7H, IC-T8A, IC-T81A, IC-T81E, IC-T90A, IC-V8000, IC-V8, IC-V8A, IC-W32A, IC-W32E, etc. Please Note: Software is not supplied with this cable.